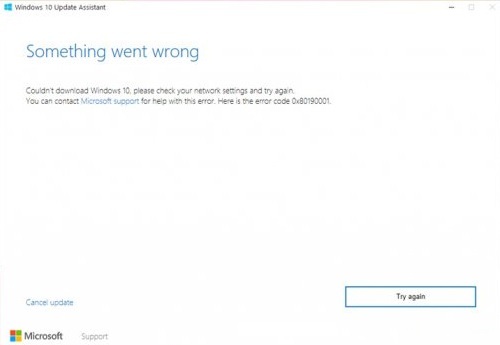 0x80240034 is an error that may occur during the installation of the update for the Windows 10 operating system in the Update Center. 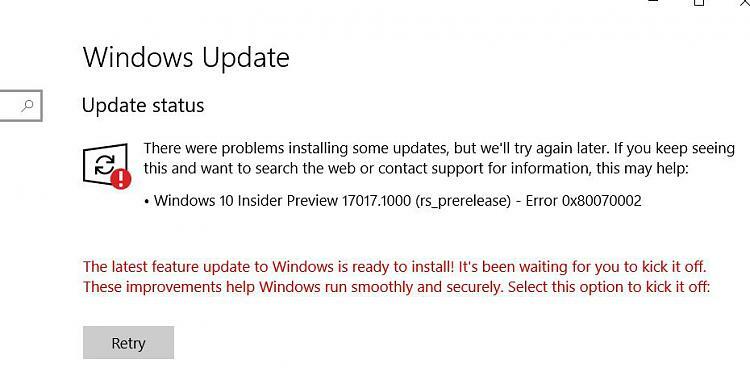 This error appeared about six months ago – after the release of Windows 10 Insider Preview version 16226. It would seem that in the meantime, Microsoft could already eradicate the problem that causes error 0x80240034, however it is still present in the system. For example, not long ago, Windows 10 users complained about the error 0x80240034 during the installation of the cumulative update under the number KB4048955. This error could appear on your computer for a variety of reasons, for example, some components of the Update Center were corrupted, a third-party antivirus installed on the system interfered with the update process, incorrect settings, lack of the .NET Framework 3.5, and so on. In general, the reasons – the sea. However, despite all of the above, the error 0x80240034 on Windows 10 can still be resolved using several methods. It is about these methods that we will tell you in our today’s article. Your very first action when you receive error 0x80240034 should be to use the Windows Update Troubleshooter. Microsoft knows very well that when something is updated automatically, something can always go wrong. It was with the goal of eliminating problems when updating them that a tool was developed that, in theory, can help you with the difficulties that have arisen. Once you click on the above button, you will see a small window for the troubleshooter. It will begin scanning your system for any problems that prevent Windows Update from working correctly. All you need to do is monitor the process and perform everything that you will be offered by the troubleshooter. When you are finished with it, try restarting Windows Update again to check for error 0x80240034. Unfortunately, the troubleshooter rarely performs its functions in relation to Windows Update. Many users, using it, argue that his work did not give any result. However, the network can be found lucky, to whom this system tool all the same helped. Perhaps you are one of those lucky ones. You may have encountered error 0x80240034 because the services required for the update were simply deactivated. This happens from time to time in Windows, unfortunately, but this situation can be corrected by simply setting an automatic startup type for these services, i.e. they will automatically start with the launch of the operating system itself, as, in fact, it was conceived. You can set up the type of launching via the graphical interface of Windows 10 automatically, however, we suggest you do a little differently: enter several commands on the Command line that activate the required type of launch for these services. Believe me, this is much faster than digging in the system settings. After completing the above commands on the Command line, restart your computer, and then try again to update the Windows 10 operating system to ensure that the error 0x80240034 is fixed. Another method by which you can solve this problem is to activate an element of the system, such as the .NET Framework 3.5. However, you do not have to download anything to your computer, as you might have thought, since everything you need has long been in your system. close the Control Panel, and restart your computer. After activating the .NET Framework 3.5 for your Windows 10, try running the OS update again. Perhaps the reason for the error 0x80240034 really was the absence of this element. It’s worth noting that error 0x80240034 may be the result of some Windows Update components being damaged. Fortunately, if the problem really is this, you can easily reset these components with a series of commands for the system console. Type the commands to reset Windows Update, and then restart your computer. Try again to update to see if the error 0x80240034 was fixed or not.